Say Something Nice: STREET FIGHTER (1994) | Birth.Movies.Death. Growing up, I spent weekend after weekend convincing my parents to rent Street Fighter IIfor my Sega Genesis, obsessed with the style, the catchy music, and above all, the characters’ storylines. Though Chun Li was the most prominent female character, my default player of choice was Cammy. So the discovery that not only would my favorite video game receive a live-action adaptation, but it would also feature my favorite character in some capacity, there was nothing I needed more in 1994 than to see that movie. My anticipation and excitement devolved into soul crushing disappointment, with the realization that Street Fighter would be an adaptation only in the loosest sense. The character backstories were all wrong, and there was a weird cheesy tone that invoked flashbacks of Super Mario Bros. The movie felt only like a distant copycat to the video game series I held dear. I remember leaving the theater almost angry, a sentiment that seemed shared by everyone, critics and theatre-goers alike. There was one bright spot, though, that saved the film from plummeting to the lows of Super Mario Bros.: the magnetic charisma of Raul Julia as the central villain General M. Bison. As an adult, my appreciation for Julia’s efforts has only deepened knowing now the issues that plagued production behind the scenes. Capcom’s heavy interference combined with director’s Steven E. de Souza’s lack of feature filmmaking experience, and a lead star in Jean-Claude Van Damme likely already deep in the throes of his extravagant cocaine habit all contributed to a box office flop. Production was also hampered by Julia’s serious battle with stomach cancer, an illness that meant fight choreography and training had to be rearranged to accommodate the actor, and his appearance grew more gaunt. That none of that excruciating illness permeated his captivating performance is a true marvel. The fact that Street Fighter was Julia’s last on screen performance has been met with disappointment throughout the years; the actor was leaps above the material given and so it was a question as to why someone of his caliber would even be interested in a video game adaptation. The answer is so simple and so full of love that you can’t help but admire the actor more than you ever thought possible; it was a love letter to his children. 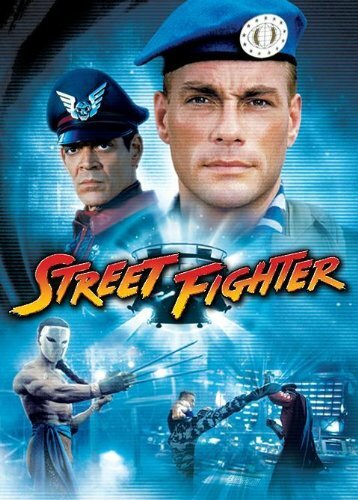 Raul Julia’s final film credit is the abysmal Street Fighter, a cheesy, loose adaptation of a popular Capcom video game series that he wanted to be a part of simply because his children were huge fans of the games. He gave the role of Bison his all, even when his body was giving out, out of love for his children and what made them happy. That love shines through all of the film’s flaws, and there are many. Between his extensive experience and his motivation behind the role, Julia is just so damn great as Bison. Even knowing what a mess Street Fighter is, I will defend it to the end of time all for what Raul Julia brought to the film. For you, it was Tuesday. But for me, and more importantly Julia’s kids, the day Julia graced the screen as Bison, it was the most important day of our lives. 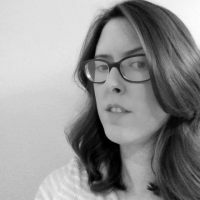 Ever since discovering the Ghostbusters at age four, Meagan Navarro has been obsessed with ghosts, monsters, and all forms of cinema. When not watching movies, she can be found in Houston, TX with her nose in a book or stuffing her face with chocolate.